Home / Posts Tagged "cheyanne marie"
It’s been a long time in the making, but I’ve finished my Teenage Mutant Ninja Turtles: Re-Imagined poster! 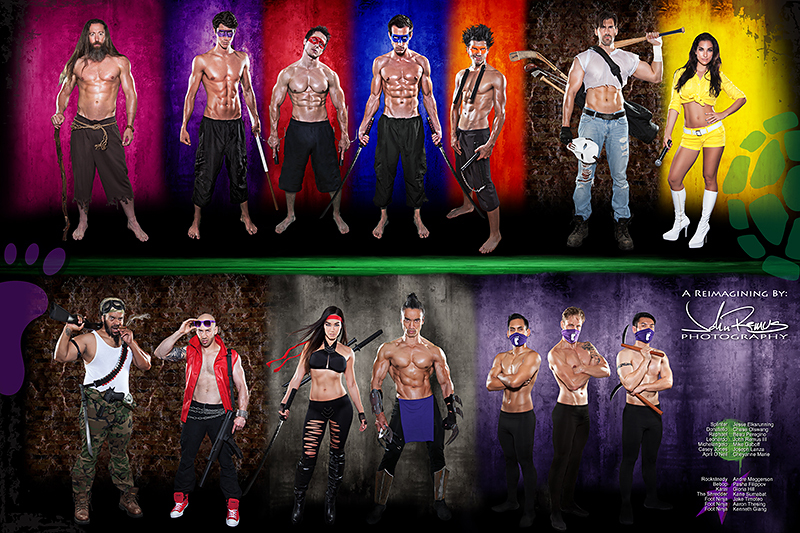 From the first photoshoot (Raphael) to the last shoot (Splinter) it officially took me 27 months to photograph everyone. But there is a long explanation behind why it took me so long to complete this project. So go grab yourself something to drink, maybe a slice of pizza, and get ready for my extremely detailed story behind this project, why I created it, and what went into putting something like this together. Oh! but if you’re just here to pre-order you copy of this poster, you can do that right now..
$30 for a 20in by 30in Glossy full-color print on heavy photo paper, shipped to you. Payable through Paypal. Otherwise, click past the break to read on! !